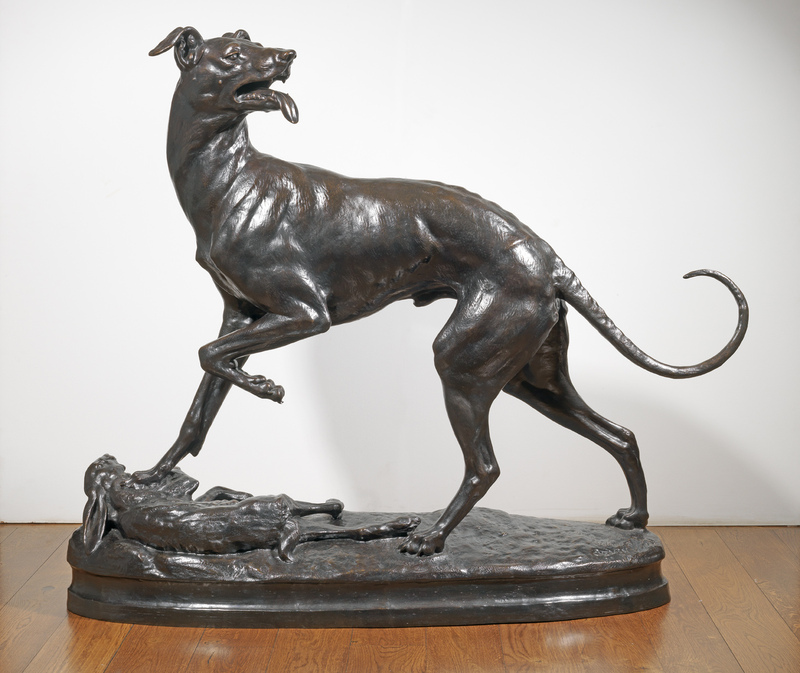 A fine quality, mid nineteenth century life-size bronze model of a ‘Coursing Hound with Hare’ by Joseph Victor Chemin (French 1825-1901). This bronze was produced using the sand casting process in France. It is signed ‘CHEMIN’, and has a brown patina with darker brown and black undertones.